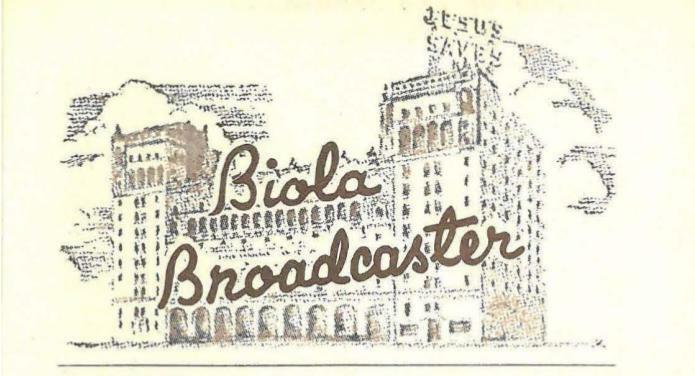 Biola Broadcaster was a monthly magazine that provided information on The Biola Hour radio program (also called The Bible Institute Hour). It touched on a wide variety of topics and included sermons, missionary reports, news related to the Biola radio, and more. The magazine ran from 1953 to 1973 and briefly merged with The King's Business in 1971.